PALMDALE – The Palmdale City Library is reminding everyone that Dec. 31 is the deadline to participate in the 2011 Montooth Library Challenge “Reading Builds Character” contest. To celebrate the release of Montooth 2: Race for the Ryland Ruby by Robert Jay, the Palmdale City Library is encouraging interested persons to participate in the contest where they will have the opportunity to be a character in the next Montooth novel. 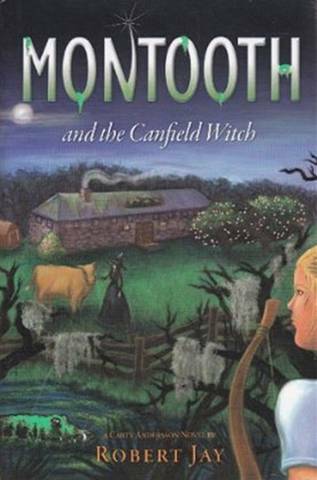 Entrants are encouraged to read both Montooth and the Canfield Witch and Montooth 2: Race for the Ryland Ruby and complete a brief survey detailing their impressions about the characters, plot and the overall series. Entries will be judged on a 30-words-or-fewer submission for a plot or character development to be incorporated into the next book in the series. Entries will be evaluated by a panel of judges and the winning entrant will have his or her name, as well as the name of the participating librarian, used as secondary characters in the third book in the Montooth series, which is slated for release in February of 2012. Entry forms are available online at www.montoothlibrarycontest.com and at the Palmdale City Library. “This is a unique opportunity that we hope our customers will take advantage of and have a little fun with,” said Palmdale’s Librarian Debbie Melin. The Montooth series is a young adult suspense series, featuring true to life characters living in an era without television, cell phones and iPods. For further information on the Montooth Challenge, contact the Palmdale City Library at 661-267-5600.